I feel like I’ve been a little harsh, lately, in my condemnation of certain words, so here’s one that I quite like. 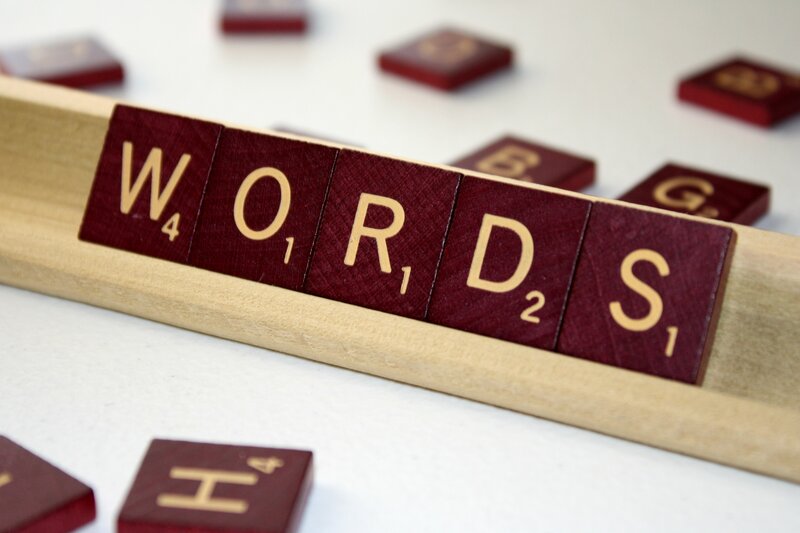 Add to that the fact that it’s Monday, and I’ve had to deal with more than my fair share of lack of clarity, already, today, so here’s a little post I wrote about the importance of the words we use- and how we use them. Way back in the day, when things were simpler and people were actually expected to know how to do things like spell and construct sentences correctly, my grade 7 homeroom teacher always supplemented our weekly prescribed, curriculum-based, spelling test with an extra-special challenge. As a result, I learned the spelling- and the meanings- of a lot of very interesting words. Tintinnabulation was one. How wonderful is it that there is a single word to describe the ringing of (church) bells through the countryside? It always reminds me of Lines written a few miles above Tintern Abbey, by William Wordsworth- partly because my first exposure to the poem came around the same time I learned the new word and partly because the bucolic setting of the poem lends itself to hearing bells in the distance, but mainly because of the similar sound of tintinnabulation and Tintern. While tooling around on the internets this morning, I noticed that Dr. Giroux paid a visit to Bill Moyers (watch it here http://billmoyers.com/segment/henry-giroux-on-zombie-politics/) and it reminded me about this post I wrote around this time last year. I had just been thinking, again, about our selfie culture and insane drive to buy moreandmoreandmore crap- as I watched the footage of the battles happening in shops on Black Friday- and ruminated on the fact that the impulse to buybuybuy- at times and places dictated to us by the marketing people and the economics ‘leaders’- has become increasingly repugnant to me. Not that I don’t love a good bargain (my Dad was a notorious bargain shopper- I guess I picked that up from him), but because I really resent the rank consumerism that is eating us alive. We celebrated US Thanksgiving last night- Fletch and his lovely better half always host us for an amazing food-and-drink fest in their home. I’m still full. Of the food, certainly, but mainly from the friendship and fellowship and great conversations we always seem to find at their place. I can’t imagine rushing out to fight crowds in stores where under-paid employees are forced to leave their homes and hearths to serve the state-sanctioned consumerism of the general public. I love words. I love seeking their origins, working out where they came from and why we use them to say the things we’re trying to say. I have a fairly developed vocabulary- owing largely to the fact that I read a lot, but also because I know a number of languages, in addition to my mother tongue. The ancient languages provide a foundation for some of the whys and wherefores, and the modern languages help explain particular usages. It’s like a big puzzle- the way words connect us. Words demonstrate the way in which we communicate- across this wide world of ours- and the way we always have done. ‘Newer’ languages borrow words from those that came before- adapting them to seek their particular linguistic needs. Language is never static- it develops with each passing day. Literacy- in any and all languages- is something I regard as supremely important. Every once in awhile I find myself missing university teaching. I miss the students- wide-eyed and eager to learn, and the colleagues with whom I shared common interests and background. I miss the discussions we had, and the ideas that they would bring to the table that would enhance and develop my own perceptions of our world. But one of the things I miss most is the opportunity I had- every four months or so- to create a syllabus outlining the assignments and readings for the course. In doing so, I got to share some of my favourite stories and concepts with my audience- and they actually HAD to read them (at least if they hoped to pass the course, they did). I miss it partly because I genuinely LOVE sharing the wonderful contributions that have been made in understanding our humanity with my fellow humans, but also because sometimes I reallyreally wish that I could MAKE some people do things I want them to do. For their own good, of course. For their good and for the good of us all. There are some vital things out there to which we all NEED to be exposed. I’ve spoken before about how much I love the reboot of Cosmos. Dr. Tyson has done an incredible job of revivifying the message that Dr. Sagan left with us when he passed away almost 20 years ago. Inspired by the show (there IS good stuff on t.v, now and again), I decided that it was past time for me to revisit Dr. Sagan a little more fully. With a cottage weekend on the horizon (T-minus 2 days! ), I picked up some books to accompany me as I sit on the dock, cocktail in hand, and fully and formally welcome back our Canadian cottage season. And, because sometimes I’m not-so-good with the waiting, I have to admit that I cracked the books a little prematurely. One of them is The Demon-Haunted World- Science as a Candle in the Dark, Dr. Sagan’s penultimate work of wonder and genius. His next-to-last published offering to the world of his eloquent view of the Cosmos and our humanity- and a warning that we haven’t managed to heed. I read the book for the first time as a student, many years ago, but not as part of my course-dictated required readings. As a student of the Scientific Study of Religion, I was interested in the interplay between what we have learned, through generations of scientific observation and experimentation in the natural world (both the provable and theoretical outcomes), and the stories of the supernatural that we have created and to which we continue to cling, in spite of lack of evidence and with an extremity of the beggaring of common sense. The disconnect disturbed me then, as it does now (to an ever-growing degree). I can no more understand today, even after more than a decade of researching how and why we construct religious beliefs and the institutions that support and further those beliefs, why people choose to remain willfully ignorant and in the thrall of superstition and fairy tales. I understand that there is collected wisdom to be found in the stories- wisdom that stands the test of time, since it is human in origin. Re-reading the book, I was struck- seemingly on each and every page- by how prescient Dr. Sagan truly was. And not in any pseudo-scientific ‘psychic’ way. That particular quote- and the one that accompanies his picture up there ^^^^- are shaking me to my very core. The guy, through his observation of the world that he loved, knew. He knew, back then, that we are on a slippery slope to our own destruction- one that is being expedited by our stubborn unwillingness to think for ourselves and set aside the beliefs and willful ignorance that keep us yoked to the agendas of those in power- whether the powers are religious or secular. We believe the fairy tales because doing so is easier than thinking for ourselves. We have an entire world of wisdom and knowledge and evidential experience to tap into- with new discoveries being made daily- and yet we persist in holding onto Bronze-Age ideas regarding the structure of the world/universe in which we live. Re-reading his words left me intellectually and emotionally exhausted with the inspiration they still provide. But it also left me mad as Hell (there’s that word again). As his synopsis of his life-long love affair with science and the natural world unfolds, he speaks about the need to continually educate ourselves and question and test our conclusions- the way scientists do as they seek to explain and understand our universe. The continuous testing of hypotheses to shape an approach to the truth is required methodology in the sciences. In religion? Not so much (pages 34-35). “Which leaders of the major faiths acknowledge that their beliefs might be incomplete or erroneous and establish institutes to uncover possible doctrinal deficiencies? Beyond the test of everyday living, who is systematically testing the circumstances in which traditional religious teachings may not longer apply? (It is certainly conceivable that doctrines and ethics that might have worked fairly well in patriarchal or patristic or medieval times might be thoroughly invalid in the very different world we inhabit today)… Scripture is said to be divinely inspired- a phrase with many meanings. But what is it’s simply made up by fallible humans? Miracles are attested, but what they’re instead some mix of charlantanry, unfamiliar states of consciousness, misapprehensions of natural phenomena, and mental illness? No contemporary religion and no New Age belief seem to me to take sufficient account of the grandeur, magnificence, subtlety and intricacy of the Universe revealed by science. The fact that so little of the findings of modern science is prefigured in Scripture to my mind casts further doubt on its divine inspiration. That last line is so Sagan. Always the scientist. Always the awareness that his hypothesis might not prove accurate and therefore have to be consigned to the dust-heap of failed attempts at understanding. The last chapter of the book resonates these days in ways that would be spooky- if he wasn’t who he was, and if I was inclined to believe in things that are ‘spooky’. In ‘Real Patriots Ask Questions’ he outlines why it is our responsibility, as participants in democracy, to keep ourselves informed about the world in general and the actions of our elected leaders in particular. Since our federal government, just today, made public their intention to proceed with a staggeringly ill-conceived decision that flies in the face of majority (and scientific) opinion and is demonstrative of their typical arrogance and self-preserving agenda, that chapter hit home pretty freakin hard. I powered through the book. The impact of his observations and the articulation of our current issues in a work written almost 20 years ago left me feeling like I needed to finish it quickly. Impending danger and dark foreboding, folks. He started warning us about it decades ago. And not only did we not listen, we are rushing headlong- willingly blind- into the idiocy that will bring about our destruction. This weekend, on the dock, I will savour it again- more slowly this time- to appreciate the fullness of his thoughts and the beauty and power of his words. It will be my required (re-)reading- in amongst the literary creativity of a couple of my favourite authors of fiction. The finale of Cosmos, a couple of weeks ago, started with Dr. Tyson ‘in’ the Library of Alexandria. My dream palace. Seriously. Of all the great human constructs that have been needlessly destroyed, THAT one hurts me most of all. It was, as Neil noted, the storehouse of the wisdom of the Classical period. The math, the science, the philosophy, the theology. Our stories and our discoveries about the world we live in and the universe around us. At that time such wisdom was available only to the elite, and so, when the mob came to destroy the Library and its wonders, there weren’t many to stand against the hoard. Intelligence and critical thinking and rationality and engagement with the realities of our world are characteristics and attributes that are actively being discouraged in our popular media and by our leaders- those in the business world, in the arena of religious belief, and those we elect to political power. We celebrate the pedestrian, the ‘common’, the ‘creators’ of amusing 140-character soundbites. Credulity is not only acceptable, it’s laudable. In 1996, Carl Sagan offered another example of his great and awesome voice crying out against the wilderness of ignorance and complete lack of healthy and needful skepticism. He shouted, but not enough of us seemed to hear. And when that happens, who among us will stand against the mob? And if your head explodes with dark forebodings, too, I’ll see you on the dark side of the moon. PS- For a few days, come Friday morning, I will be shutting down the connectivity to all things technological in favour of my lakeside dock and the company of good friends. Have a fantastic weekend, WPPeeps. And if you’re looking for something to read… Just a suggestion. A strong and pleading suggestion, but just a suggestion nonetheless. I love language(s). I love words. I love playing with them and respectfully befriending them as befits their vast importance in our human interaction. Words facilitate communication. While there are, certainly, other methods of communication, the effective use of language is undeniably one of the forces with which we need reckon as we attempt to make sense of this human existence and try to get along. As has been the case for most of my adult life, part of my current role involves working with other people and helping to hone their written communication skills. Being talented, driven professionals, none of my colleagues are completely hopeless with when it comes to the clear and effective use of language, but the reality is that we are surrounded by opportunities to misuse our well-learned writing skills once we move outside of the halls of academia. It’s partly peer pressure. I see sooooo many typos/inconsistencies/grammatical errors in allegedly edited publications/news groups these days. Status updates and tweets and PMs are rarely given the once-over, let alone the twice/thrice-over that I tend to use when putting things out into the ether. The people that we see on tv speak in colloquialisms that seem barely recognizable as mother-tongue English. It’s also laziness. We know better, most of the time. I’m positive that people really know the difference between to/too and there/they’re/their- but (maddeningly) don’t get the importance of actually writing the correct word. I realize that, here in my WPWorld with my WPPeeps, I frequently devolve and use extremely vernacular or truncated language, while employing my own little stylistic idiosyncrasies that very much reflect my voice (at least the one in my head that shouts the loudest…). I’m allowed. colemining is a blog. Its purpose isn’t about business or professional concerns. I’m chatting with my friends- putting some of my ideas out there and responding to the ideas of others that strike me as profound, interesting or entertaining. I’m also of the mind that once you reallyreally know the fundamentals of a language you then, and only then, get to play around with them. And I’m pretty confident in my grasp of the fundamentals of language (more than one, truth be told). So I’m okay with writing choppy, seemingly-incomplete sentences, hereabouts. Or beginning sentences with ‘so’. Or ‘or’. That’s the language in which Cole chooses to write. If it isn’t everyone’s cup o’ java, it’s all good. Word-crafting is an art– and when it’s employed by those with a real talent for turns of phrase and clever construction it is truly beautiful. We find such wordsmiths in many realms- of music, literature, poetry, philosophy… even (dare I say it?) in the political world. Expressive, connotative language describes and illustrates our humanity. Regardless of the specific medium- or subject matter- it connects us by helping us to communicate our stories- individual and shared. Before I accepted my current role, I languished a little bit in the wasteland between the world of academic writing and that of business correspondence. ‘Writing’ ‘form letters’ (a primary responsibility of my previous job), offered few opportunities for either creative flare or nuanced construction. By their very definition they were formulaic. That temporary residence in said void led to a whole lot of playing with words and encouraging their music in my spare time- something that has been wonderful for my creative output (work on the novel(s) and such), but it also made me a little lazy, to be honest. As I get back into the scheme of things, I’m finding that editing the words of others is a little less instinctive than it once was. It’s taking me longer to restructure and rearrange than was the case, once upon a time. Some things are straightforward- eradicating ‘as per’ from all writing that crosses my desk requires no effort at all (I realize that the construction is used widely, but it is both jargonistic and freakin’ redundant – the English/Latin hybrid makes me cray-cray. It is pretentious and generally lacks clarity- even assuming it is used correctly. My SO suggests that I am tilting at (yet another) windmill with this one, but I am determined that nothing that comes through my hands will contain that vitiated vernacularity. We hates it, my precious. ), and ‘utilize’ becomes ‘use’ with barely a second thought. Switching passive voices to active ones? That involves a little more time and thought and trial and error. But, as I attempt to emphasize the effectiveness of using the best possible words to convey meaning, I’m discovering discussions about language use everywhere. There was a news story on the CBC this morning, as I got ready to leave the house, which discussed findings that suggest that ‘expert’ texters are better spellers than those who are less dexterous with the one-handed typing. It makes sense, linguistically, in a way. Breaking down words into shorter forms helps with the understanding of the constituent parts of the whole. While searching for reading selections for my first cottage weekend of the summer (T-minus 5 days, and counting! ), I kept running into discussions about the perceived literary ‘value’ of certain bestsellers. Not being much of a proponent of literary criticism- and frequently not a fan of those books that make the critics roll over and purr- I haven’t paid a whole lot of attention to the foofaraw. I like what I like- and if a novel doesn’t hit on all the aspects required to grant it legitimacy as part of the Western Canon? Oh well. If an author engages my imagination and creates characters that resonate and stay with me, then I’m happy to have spent the money to support their efforts. Writing is hard. Doing it well is underrated. Effective communication always requires clarity and the ability to know and accurately read an audience. Sometimes that involves using colloquial or informal language. In other circumstances messages need demonstrate a requisite level of professionalism and polish that is often lacking. IMHO that whole clarity-thing requires the correct use of grammar. Am I a Grammar Nazi? Perhaps. But it is a skill that we seem to be losing- much to my distress. We would need to spend a whole lot less time looking for meaning in the words of others if their messages were well-constructed and to the point- without layers of extraneous rhetoric and misused language. When we were told to learn the word antidisestablishmentarianism for one of our weekly tests, our teacher offered a brief definition and the explanation that it is one of the longest words in the English language. I thought it was pretty cool. It was long and lyrical and rolled off the tongue not unlike that most wonderful literary creation supercalifragilisticexpialidocious. The meaning of the word didn’t register much, at the time. It wasn’t really a concept that hit all that high on my 13-year old list of things I should be thinking about retaining. But I did. And it is a word that has surfaced more than a few times over the course of the studies that have been the focus of most of my adult life. As a movement, antidisestablishmentarianism opposed proposals that sought to remove the Church of England from its status as the state church of England, Ireland and Wales. It was tied into the role of the monarchy as head of the Church and concepts of the absolute separation of Church and State. It’s still a concept that comes up- in the British context- now and again. Who knew- back in the dark ages when I learned the word- that I would grow up to be a card-carrying disestablishmentarian? Knowledge isn’t something to be squandered- and those things we learned in our schooldays (halcyon or otherwise) aren’t transitory. Despite suggestions to the contrary, the need to learn the fundamentals of correct spelling, grammar and vocabulary is not something that has gone the way of the dinosaurs in a world of spelling/grammar check and lowest common denominator vernacular. Even when we take the time to listen to one another (not something that happens nearly as much as it should) it can be extremely frustrating trying to separate the wheat from the chaff in the convoluted/misused language that has become the norm. Words that never were true. Spoken to help nobody but you. Clarity. Using our words with integrity without sacrificing accuracy, style and beauty. It can be done. It SHOULD be done. Just a few thoughts for our newly elected majority government here in Ontario. And all the rest of us. Lately there’s been a lot of talk in the news about the ‘words of the year’, according to the Oxford Dictionary– with ‘selfie’ leading the charge as the most popular term. It’s still new enough that as I typed it, the little red line appeared underneath, letting me know that the spell check hasn’t yet been alerted to its ‘official’ recognition. If you travel anywhere at all in the world of social media you are aware of the definition of this brave new word. It is one of the many indicators of the paradigm shift that’s been happening as the interworld becomes increasingly realized as the de rigueur place to hang out. These days it’s “all about me”. Everything is geared toward self-glorification and the experience of those moments of fame (or infamy) to which we have been told we are entitled to experience. For all the new words we create- to describe our increasingly self-absorbed perceptions of life- somehow we have completely lost the plot when it comes to things of real import. You know, those issues that affect us and that are creating greater and greater divides of opinion and practice as our ‘communication’ allegedly increases? I love Bill Moyers. I think I might have mentioned that once or twice before. Today I saw an excerpted post on his website about this very thing. Henry Giroux, cultural analyst and foundational theorist in the realm of critical pedagogy, is another voice crying in the wilderness of the institutionalized dumbing-down of society that I have railed about so very many times here in my little corner of the WordPress world. Although he is an American- and his great body of work generally cites American exemplars- we have been privileged to have him up here in the neighbourhood, as the Global Television Network (I won’t address the irony of that– at the moment, anyway) Chair Professorship in the English and Cultural Studies Department at McMaster University in the Hammer (again, sorry about the Grey Cup loss, Ticats), and is a Distinguished Visiting Professor at Ryerson University, here in the Big Town. The system- including educational, media AND political bodies- encourages the continuance of self-absorption (to a pathological degree, sometimes) so that we remain uninvolved in anything outside of ourselves, engrossed as we are in the minutiae and irrelevancies of cults of celebrity and mindless television/internet programming, rehashed (‘rebooted’) films, and formulaic/manufactured music. That would certainly interfere with those who hold power- be it politically or economically- maintaining a status quo that is increasingly unfavourable to the rest of us. WHY are we letting this happen? I realize that many people are facing the sheer exhaustion of day-to-day living- what with un/underemployment, rising utility/housing costs, concerns about access to healthcare (particularly in the States)- and that time has become a precious commodity for more and more of us. I also understand the need to use what little free time we might have in ways that make the daily grind worthwhile. Time spent with family and friends, and even a little mindless entertainment is a good thing. Such things do much to help us get through the day. But I strongly object to the idea that ALL down time should be used playing Bejewelled or catching up with any freakin Kardashians. We need to start educating ourselves- and cluing back into the communities in which we live. If we don’t, these communities will continue their downward slide into political and social apathy as we let big business (pharma, the media, commercial conglomerates and etc. ), the 1%, lobbyists and career politicians pad their own financial portfolios on the backs of the rest of us. There’s this guy- a ‘financial expert’- who is a frequent contributor on the CBC (another precious Canadian commodity that is gradually being phased out by the Federal Conservative government- as we watch it happen and do nothing to stop it. Farewell Hockey Night in Canada– your days are truly numbered… Sorry. Got sidetracked. I’ll defend the CBC another day) for some reason. Some days- when I’m in a ‘selfie’ kind of mood, I think he’s there for no other reason than to make me see red. In addition to his own ‘name on the masthead’ show, he is a frequent guest on the morning show. I have no idea who might make up his appreciative demographic (although I can guess), but he’s obviously a ratings draw. Anyhoo. He makes me angry. And that anger compels me to read up about the stuff he says that makes me angry. To look at his opinion and the countering views of others. In this way, I can form a balanced impression about whether or not I am reacting to the fact that I can’t stand HIM, or if I am truly opposed to his take on the ways of the world. I try not to be knee-jerk about anything. I fail, sometimes, but I think that I generally take the time- and do the work- required of me, as a fully-functional member of society, to make informed decisions. I’m starting to feel more and more in the minority, as far as this approach to the world is concerned. With each passing day/news story/political scandal/new reality tv series. We cannot afford to remain a selfie culture. Shouting- whether in the comment section of online articles, with constant self-promoting pictures, or by actually yelling (and mowing down older women) in council chambers- needs to be replaced by critical examination and reasoned discussion that might lead to answers that will benefit ALL of society. Everywhere we turn we are encouraged to develop ‘our brand’ through self-promotion and shouting louder than other voices. We have become a society in which those who yell loudest tend to be the ones who end up as our leaders. Is this really what we want? Self-aggrandizing in place of discourse? Pop songs are increasingly all about self-involvement- about ‘roaring’ and ‘sparkling’ and being a ‘firework’ and the like. Some may argue that they promote the empowerment of those who feel powerless (particularly the young(er) peeps who can actually listen to Katy Perry et al without breaking out in hives), and maybe they are- on the most simplistic and formulaic of levels. I’d argue that they contribute to the persistence of this pervasive solipsism that is making working together to change the world more and more difficult. ‘Raging narcissism’. Yep. That sounds about right. That post-apocalyptic imagery strikes me a as being a little bit too possible, these days.